PRETTY. im looking for a body lotion with a similar effect. 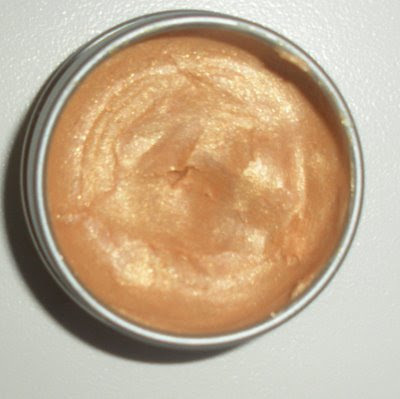 That's a really pretty shimmer, kinda like a subtle bronzer. 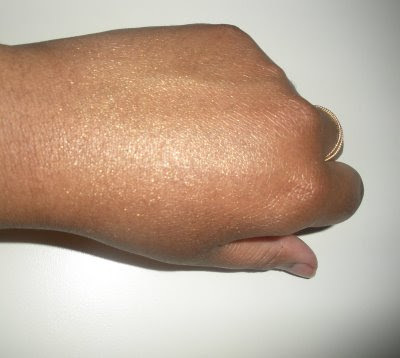 Do you think it would be too heavy to use as a bronzer? This is such a great idea. I would totally use it with strapless dresses and other shoulder baring tops for some extra sparkle. This is why I can't come over here often. My to-buy list just gets out of control! I believe the website is www.shimmyshea.com . There was a giveaway on this one a few weeks ago. @antithesis I know I've seen one recently, let me get back to you on that one. I think VS has one too if I'm not mistaken. @jco the product is whipped really well so it's smooth and light. I don't know how sensitive your skin is but I suppose if you buy it and it doesn't work well for your face you can still use it on your body. If you normally use shea butter on tour face you may be ok.
@anonymous I just linked to the site in the post. @ toys that's correct thanks a bunch. If I have typos sorry I'm ding this from my cell LOL. That shimmer looks GORGEOUS on you!